Berry Blue Creative Food has bagged two industry awards for their food and service as many months. Firstly, the Stroud-based catering company was awarded Best Wedding Caterer South West in the English Wedding Awards 2017. 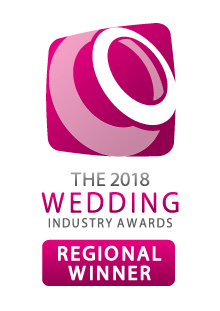 Then a few weeks later the team won their category, Best Events Team, at The Wedding Industry Awards (TWIAs) South West. They will go to the national finals of the TWIAs in London in January to find out if their win UK events team of the year. Berry Blue General Manager Joanna Scrivens, said: “It has been a fantastic few months for Berry Blue, we really couldn’t be more pleased. “To first win the catering award to recognise our food was brilliant, but to then be given an award for our events team and the service we provide was the icing on the cake." To make it a hattrick Berry Blue also owns the Berry Blue Café in Cam, which in October was awarded Best Independent Café in Gloucestershire at the Gloucestershire Food and Farming Awards. Berry Blue is based in Cainscross, Stroud, and they provide catering to major wedding and event venues including Eastington Park, Woodchester Mansion and Drakestone House in Stinchcombe.